Los Angeles is the nation’s hub for bankruptcy crime. Scammers prey on struggling homeowners with little fear of getting caught, because criminal enforcement of bankruptcy laws is rare. Of course, there are laws to prevent such abuse of the system. If someone files again and again, bankruptcy’s protections can be revoked. But Baez has another technique he often uses. On paper, his clients appear to transfer ownership in their homes to a group of people who get 5 percent apiece. It’s a trick that can turn one homeowner into four homeowners, each of whom can file for bankruptcy, one after the other. It doesn’t matter if these new homeowners are real. By the time a flesh-and-blood person must appear at a hearing, a month or two has passed. Then the case is dismissed and a new homeowner comes forward. Rinse and repeat. With tricks like this, foreclosure can be kept at bay for months and sometimes years. It’s the kind of brazen fraud one would expect to be swiftly spotted and punished. But this is Los Angeles, where Baez is not a remarkable innovator, but merely one more practitioner in a decades-old local industry. He’s been at it for more than 10 years. It’s hard to keep track of all the bankruptcy laws he’s broken and based on his answers to my questions, he won’t be stopping anytime soon. He’s helping his clients, he says, and that’s what bankruptcy is for. I came to Los Angeles because national filing data showed something remarkable was happening there. No other district in the country has anywhere close to the number of cases filed without an attorney as the U.S. Bankruptcy Court for the Central District of California, a warning sign because debtors generally fare much worse without legal representation. Digging deeper, our analysis found thousands of cases filed each year that bore the hallmarks of fraud. Moreover, it turned out this is an open secret not only among the judges and court administrators in the district, but also among bankruptcy experts nationwide. Twice, Congress has even passed laws to combat the bankruptcy-related schemes emanating from Los Angeles. This is what underscores the frustration of Judge Maureen Tighe, who presides in the district and has tried to raise the alarm about the level of fraud. 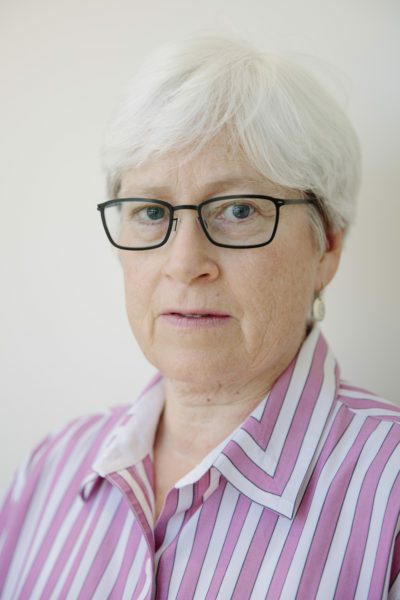 A former prosecutor, she directs court employees to look for suspicious people, tries to sanction those breaking the law, and helps publish reports on the scale of potential fraud. She’s even called special hearings. But that is where her powers stop. And the arms of the justice system charged with policing these crimes — the U.S. Attorney and the Federal Bureau of Investigation — rarely do. “If nobody follows the law, and there’s no enforcement mechanisms or enforcement resources, what good is the law?” Tighe asked. The success of these schemes reflects a basic fact about the bankruptcy system. For people with the sophistication and resources to hire reputable attorneys, bankruptcy works well. For others, there are traps. ProPublica has been examining deeply ingrained problems in the nation’s bankruptcy system using a first-of-its-kind analysis of filings. Across the country, we’ve found how the costs of filing have, in various ways, caused harm to those bankruptcy was designed to serve. Earlier this year, we reported on how black Americans in the South are far less likely to attain lasting debt relief from bankruptcy because steep, up-front attorney fees force them to choose bankruptcy payment plans they are likely to fail. In Los Angeles, we found, vulnerable people with debt, particularly minorities and immigrants, are more likely to try navigating the system with no attorney at all. Many turn to unlicensed bankruptcy petition preparers like Baez, who often operate beyond what the law allows and hide their involvement in filings. Court districts in other parts of the country with high numbers of pro se filings — places like Atlanta, Detroit and Milwaukee — have similar fraud problems, particularly involving unscrupulous petition preparers who flout the rules and overcharge for their services. Despite these destructive patterns, both in the South and in Los Angeles, we found an entrenched lack of will to stop them. Without much criminal enforcement of the laws, the amount of fraud in the Central District of California rises and falls with the economy. During the foreclosure crisis in 2011, when the district’s 126,000 consumer bankruptcy filings accounted for nearly a tenth of all such filings in the country, it exploded. But, in an area where so many struggle to afford their homes, plenty of fraudsters are still in business. The U.S. Trustee Program, which oversees the bankruptcy court, refers hundreds of potential crimes to the local U.S. Attorney office every year. In most years, only one to three cases result in prosecution, according to data obtained by ProPublica through a Freedom of Information Act request. In 2009, not a single one of the 266 criminal referrals made by the U.S. Trustee office in the district resulted in prosecution. “There’s a lot of frustration, I think, among some members of the U.S. Trustee Program who feel like they’re doing their darndest trying to do something about this type of financial crime,” said Jennifer Braun, who worked as an attorney with the program’s district office until earlier this year. Federal prosecutors cite a lack of resources and a need to pursue higher profile crimes as the reason for the dearth of bankruptcy cases. Untangling the complicated schemes is a lot of work for a low-wattage win, they said. 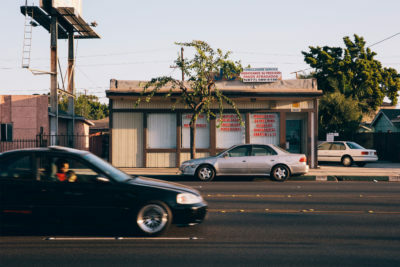 As a result, especially in the largely Hispanic and immigrant neighborhoods in and around Los Angeles, it’s not hard to find examples of these schemes. All I had to do was look. I found Liderazgo Financiero just a couple miles away from JC Foreclosure. 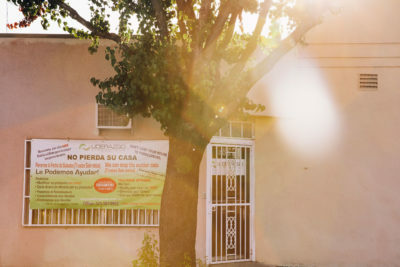 “NO PIERDA SU CASA” — Don’t Lose Your Home — said the printed sign hanging over a barred window outside. Inside, stacks of lime-green mailers covered in urgent warnings about foreclosure in Spanish sat on a desk, ready to be sent out. Chapter 13 really is the best option under the bankruptcy code for someone facing foreclosure. Theoretically, struggling homeowners can catch up on their mortgages through a payment plan, typically lasting five years, calibrated to their income. But even when debtors file with an attorney, Chapter 13 has its risks. Without an attorney, it’s almost hopeless. Between 2008 and 2014, almost half of the Chapter 13 bankruptcies filed in the Central District of California were done without an attorney. About 85 percent of these pro se filings were left incomplete, lacking the debtors’ basic financial information, according to ProPublica’s analysis. Nearly all were dismissed within a few months, meaning the debtors were back at square one with no debt relief. When I reviewed 50 pro se Chapter 13 filings in mostly Hispanic areas where bankruptcies without attorney representation are most common, I found that two-thirds of the debtors ultimately lost their homes, usually within a year of filing. Neither Nuñez, nor his wife, Veronica, who owns the company, is an attorney. Switching between English and Spanish, Nuñez affably described the services Liderazgo offers clients desperate to save their homes. Local bankruptcy attorneys, he said, can bill up to $5,000 to file under Chapter 13, but his company charges clients just $200. Attorney fees for Chapter 13 in Los Angeles do indeed range from $4,000 to $5,000, but many attorneys accept a portion of that up front, with the remainder paid through the plan. 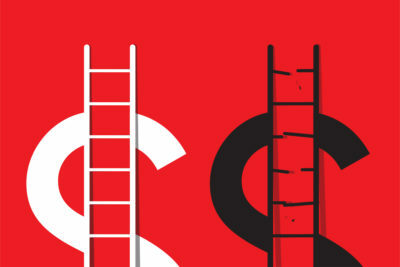 Much to the frustration of judges and attorneys in the district, companies like Liderazgo often lure in clients with promises of a cheap rescue, but then end up extracting fees similar to what attorneys charge. When I asked Nuñez about his fees, he conceded that the $200 covered only the most basic document — the petition. To file all the necessary information about the debtor’s incomes, assets and debts, the company charged $1,500, he said. That’s against the law. Non-attorneys are permitted to assist someone with a bankruptcy, but if they accept payment, their activities are strictly limited. They must disclose their involvement and can’t give legal advice. In Los Angeles, anyone can open up shop as a petition preparer, but the maximum they can accept for filling out the forms is $200. One preparer I spoke with said the job is all but impossible to do well and also be in compliance with the law. “You can’t be a preparer and not give legal advice, because if a client has any question [about the bankruptcy], and you answer the question, you’re giving them legal advice,” said Christian Yates, a paralegal. After being fined by Tighe in 2012 for violating filing laws, Yates said he now only assists with bankruptcies with a lawyer present, which is allowed. But other preparers are “going to continue to do it until they get caught,” he said. The preparers are most active in the district’s Hispanic neighborhoods, but they are everywhere, promising help with both Chapter 13 and Chapter 7, which typically wipes away debts within a couple months. One debtor I met at a court hearing, who asked that his name not be used, told me that he’d found a preparer by simply Googling “Los Angeles Paralegal” and had paid $750. Petition preparers are forbidden from using “legal” or similar words in advertising their services, but many just ignore that. According to court records, Araneta Legal Services, which until recently operated the website losangelesparalegal.org, didn’t disclose that it had filled out the debtor’s petition. Preparers can evade the attention of the court by simply not disclosing their involvement in a case, another violation of law. Joseph Araneta, the company’s owner, did not respond to my calls and emails. The company appears to have shut down. As for Liderazgo, records show that it has been involved in more than 200 bankruptcies since the middle of 2012. In at least 56 of them, the company didn’t disclose its involvement. I was able to tie these cases to the company because Veronica Nuñez is identified in court data as having brought them to the courthouse. As a way to combat preparers dodging the disclosure requirements, all five court locations in the district began requiring non-attorneys in 2012 to present their ID when filing bankruptcies for clients in person. The court shared this data with ProPublica. But even this tally is likely incomplete, since Santiago Nuñez told me that the company generally requires its clients to file the cases themselves. Doing so is another way for preparers to avoid scrutiny. Some of the Liderazgo bankruptcies I looked at were clearly phony. In one scheme that ran from 2009 and 2015, 18 different debtors listed the same Compton address as their home on their bankruptcy filings, but only one of them actually lived in the 1,100-square-foot house, according to public records. Veronica Nuñez brought eight of these Compton bankruptcies to the courthouse, the court data shows. 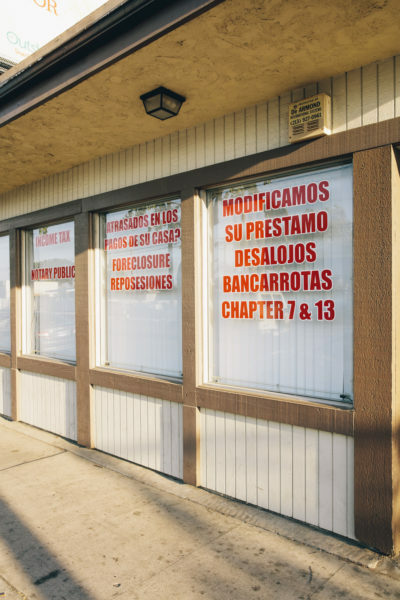 A ninth bankruptcy was filed under the name of Juan Azuaje, a man who had hired Liderazgo to help avoid foreclosure on his home 50 miles away in Simi Valley, according to a recording of a court hearing in 2012. Court records show he, or someone using his name, filed two separate bankruptcies on the same day — one listing the Simi Valley address as his home, the other the Compton address. Public records show Azuaje had no connection to the Compton home, which was ultimately foreclosed on. Azuaje and the former owner of the Compton property could not be reached for comment. Liderazgo’s frequent filings haven’t gone unnoticed by the court entirely. In January 2012, a judge in the district issued an order for Santiago Nuñez to appear and face possible fines for improperly filing a case. He didn’t show. Nuñez did not respond to a detailed list of questions that outlined several violations of the law. In the summer of 2012, Mohsen Saeedy was desperate. An Iranian immigrant in his 50’s, he’d built up his own photo printing business in Los Angeles and poured his savings into a ranch-style house in Phoenix, Arizona, where he and his wife planned to retire. The interest-only, adjustable-rate mortgage had seemed affordable in 2007. It wasn’t anymore. Then he found JC Foreclosure. As Saeedy remembers it, the company promised to force the bank to modify his loan and knock the principal down to what the house was actually worth. Amid his desperation, Saeedy said, the promises were irresistible. He paid $1,000 to a middleman for connecting him with JC Foreclosure. Then he gave the company $1,600 to get started, and agreed to pay $600 every month in cash. Of course, JC Foreclosure had no special power to bend banks to the company’s will. But it had plenty of tricks. Shortly thereafter, the company executed a deed transfer from Saeedy’s wife, who was the title-holder of the Arizona home, to a woman named Marian Garcia. Later, a second and then a third deed transferred interests in the home to four other individuals. Saeedy told me he’d never heard of Garcia or any of the other people, and his wife said she never signed any such deeds. 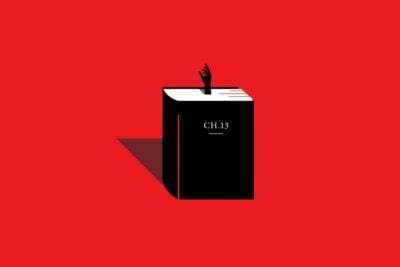 In these types of arrangements, Chapter 13’s power to protect can be deployed over and over for the same home as long as each debtor appears to have a claim to bankruptcy’s protections. It’s “the cheapest temporary restraining order anybody can get,” Tighe said. It’s unclear if any of these people knew they’d gained an interest in an Arizona home. A couple of them don’t appear to be real. But one unwitting new owner of a piece of Saeedy’s property is definitely a real person. In fact, he’d already filed his own, unrelated bankruptcy case — after initially filing on his own, he then retained an attorney. Unbeknownst to him, scam artists had transferred portions of at least 11 properties, Saeedy’s home among them, to him, according to motions filed in his case. Attorneys, judges and prosecutors call this fraud technique “hijacking.” Fraudsters simply pick a recently filed bankruptcy — it doesn’t matter which one, really — and then pretend the debtor in that case owns the properties the fraudsters want to protect. It’s a neat ploy that stops foreclosure and saves the expense of the filing fee. “Hijackings” like these create headaches for attorneys and judges and put legitimate debtors in danger of being adversely affected. Renay Rodriguez, an attorney in Los Angeles, handled one case in which portions of 13 different properties were transferred to her clients. “It was absolutely bewildering to try and explain to them,” she said. The other four people who received an interest in Saeedy’s home all filed for bankruptcy pro se. One appears to be a real person who, with the help of a different petition preparer, filed for bankruptcy nine times over six years and finally was barred by a judge from ever filing again. Another claimed to live at JC Foreclosure’s business address. When I visited this summer, the company’s small office was empty except for a woman at the front desk. She told me the company didn’t file bankruptcies because Baez, the owner, wasn’t a lawyer. Instead, she said, the company referred clients to a law firm when bankruptcy seemed appropriate. She couldn’t remember the name of the firm. On the counter in front of her desk — next to a stack of mailers, marked “URGENTE,” addressed and ready to send to potential clients — were bankruptcy forms, filled out for a debtor by the name of Suyay Crow, but yet to be filed. Later, when I checked public records, it appeared that no one by that name has ever lived at the South Los Angeles home that was listed in the bankruptcy filing. It was actually the second time Crow had filed for bankruptcy at that address, each time without an attorney. Crow, who may or may not exist, had gained an interest in the property through a deed executed last March. The next day, I visited that South Los Angeles home. Four cars were parked outside, and children played in the yard. Junk, including an old fish tank and tires, lined the front porch. The owner of the home, an 86-year-old black woman, answered the door in a wheelchair. She said she lived there with her niece, son and his two daughters and had owned the home for over 20 years. The woman, who asked that her name not be used, told me she’d never heard of Crow, Baez or JC Foreclosure. She was facing foreclosure, she said, because a loan had jumped in payments. Using another nearby petition preparer, she’d twice filed for bankruptcy under her own name in recent years. Both times the cases were quickly dismissed. But she said that she knew nothing about other filings and had never signed any deed transferring an interest in the property. “I didn’t have nothing to do with it, nothing at all,” she told me. Public records show that the lender foreclosed on the home in October. Since 2012, Baez has brought at least 237 bankruptcy cases to the courthouse. In only 10 cases was a preparer disclosed. As with Liderazgo, the count likely captures only a portion of the company’s activity, especially since JC Foreclosure has been operating since 2005, long before the court began tracking suspicious filers more closely. The company appears to routinely charge its clients fees well in excess of the allowed $200 for its services, as it did Saeedy. One contract shared with me from last year shows the company charged $1,200 to file a Chapter 13 bankruptcy. The mortgage servicer eventually caught on in Saeedy’s case, too, and obtained an order preventing any future bankruptcy from stopping foreclosure on the property. For more than a year, Saeedy paid Baez’s company with the expectation of a loan modification, he said. Then Baez abruptly informed him the company could do nothing more to help him. Foreclosure was again imminent. In a fresh panic, Saeedy filed for bankruptcy on his own to stop the sale and then quickly retained an attorney. Only then, he said, did he learn about the fraudulent bankruptcies. His lawyer explained that because of them, his own bankruptcy had not halted foreclosure. Almost four years later, Saeedy is still picking up the pieces. He ultimately decided to drop his bankruptcy case because he didn’t see the point. He regrets not having filed earlier. “I would have a much different outcome,” he said. I sent questions to Baez, laying out the evidence that his company had violated bankruptcy laws hundreds of times. I also detailed four other deed transfer schemes in addition to the ones discussed in this story. In a written response, Baez didn’t deny or admit forging documents or filing bankruptcies in the names of fake people. He declined to discuss any particular case, saying that doing so would require a signed release from the client. Instead, he argued that since his company filed bankruptcies to benefit clients, the filings had not been fraudulent, since the bankruptcy laws “are there to protect debtors.” He also said I was wrong to say he worked as a petition preparer because most of his clients “do not come to us just to file a bankruptcy.” He charges clients more than $200, he said, because the company spends a lot of time working with clients. “It is common practice among many service providers to assist their clients in filing a Chapter 13 if more time is needed in negotiating with the lenders,” he added. There is no exception in the law that allows businesses to charge more than $200 if they provide other services in addition to preparing bankruptcies. Baez said that his office routinely provides clients “the service” of bringing their bankruptcy filings to court and paying the filing fees. That is a violation of the law. But he said that my questions had spurred “a careful review of our business practices.” Going forward, JC Foreclosure will require that clients file their own bankruptcies, he said. In a sign of the challenges the court faces, this promised change will simply make it harder for the court to track the company’s activities. Prosecutions of bankruptcy fraud weren’t always as rare as they are now. 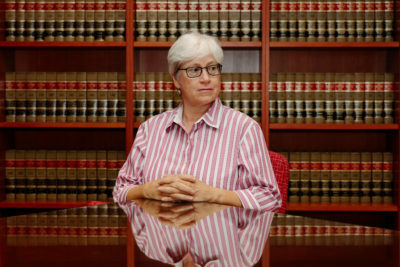 In 1988, when Tighe began her career as a prosecutor in Los Angeles, her sole responsibility was combatting such fraud. Even then, the area demanded attention due to the extremely high number of filings by debtors without attorneys and the proliferation of petition preparers. But national statistics show these prosecutions began to dwindle after 2001. By 2011, the number of federal prosecutions in which a bankruptcy crime was the lead charge had dropped by more than half, according to data compiled by the Transactional Records Access Clearinghouse. The schemes affect banks, investors and neighborhoods by drawing out inevitable foreclosures. They also cause unnecessary foreclosures by ensnaring struggling homeowners who might have succeeded in keeping their homes by legitimate means. Despite the assessment, there is no evidence that resources were re-allocated. In interviews, former federal prosecutors said budget cuts have gutted their ability to pursue such cases. Evan Davis, a former federal prosecutor in Los Angeles, recalled his frustration when it was his job to coordinate federal bankruptcy prosecutions in the district during the foreclosure crisis, and the local U.S. Trustee office was sending him a steady stream of possible crimes to investigate. Robert Dugdale, an assistant U.S. Attorney who was chief of the criminal division in Los Angeles from 2010 to 2015, said there was “a hiring freeze in our office for a number of years, so that everybody who left couldn’t be replaced.” At one point, he said, money was so tight that just sending a package by FedEx required a memo justifying the expense. Constraints were even worse at the FBI, they said. After the 9/11 attacks, domestic terrorism became a major focus for the FBI and other law enforcement, drawing resources away from white-collar prosecutions. On top of that, FBI agents were “effectively dissuaded from pursuing [bankruptcy] cases,” Davis said, because bankruptcy fraud is classified in the lowest band of white-collar crimes. The U.S. Trustee Program has also been squeezed by budget cuts. In recent testimony to Congress, the director of the program boasted about its “diligent management of increasingly scarce resources,” as its staff has been reduced by 14 percent over the last 10 years. U.S. Trustee attorneys can bring civil cases in response to violations, but not criminal charges. For that, they refer cases to other agencies. State and local prosecutors can sometimes bring charges, but only if local laws have also been violated as part of the scheme. In a statement to ProPublica, the Justice Department emphasized activities by the U.S. Trustee Program to identify bankruptcy crimes and train others to recognize it: “Over time, these collective efforts within the Justice Department and with the wider bankruptcy community may result not only in an increase in referrals and prosecutions, but also in greater deterrence of bankruptcy crimes at the outset.” The statement didn’t explain how this increase in prosecutions “may” occur. The lack of resources available for bankruptcy-related prosecutions isn’t limited to Los Angeles. In Milwaukee, bankruptcy judges have long been concerned by the conduct of petition preparers. “It’s somewhat tragic because the people who are being victimized by this are the most defenseless people out there,” said Judge Susan Kelley, the chief bankruptcy judge in the Eastern District of Wisconsin. Every April, after the harshest months of the Midwestern winter have passed, Milwaukee’s energy utility ends its winter moratorium on shutting off gas or electrical service due to nonpayment. Threatened with losing service, many residents respond by filing for bankruptcy — often with the help of preparers, Kelley said. The vast majority of these debtors are low-income and black. According to ProPublica’s analysis of filings in the district from 2013 through 2015, almost half of the Chapter 7 cases filed by debtors from majority black areas were done without an attorney. In the mostly white areas, only 5 percent of filings were pro se. Stopping these preparers has sometimes proven beyond the powers of the court. In one example, judges twice sent U.S. Marshals to force a preparer to appear before them and explain why she had ignored court orders and fines. When even that didn’t stop her, the court sought criminal sanctions. The local U.S. attorney’s office, however, declined to prosecute, because doing so “would not be a wise use of law-enforcement resources,” according to a district court order. A spokesman for the U.S. Attorney’s Office for the Eastern District of Wisconsin declined to comment. The office has brought a few significant prosecutions for bankruptcy fraud in recent years. But sometimes even those cases have a way of highlighting how limited the enforcement of bankruptcy laws has been. Last June, the U.S. filed charges against Mickey Henschel, who is something of a Los Angeles institution. In 1995, he was the subject of a profile in The Los Angeles Times. The author marveled that, despite several allegedly fraudulent activities (including arranging bankruptcies by fictitious people), Henschel had managed to stay out of jail. Nine years later, the Times again reported on Henschel, noting, “One of the safest places to engage in fraud is Southern California,” and again marveled at his ability to avoid prison, despite several scrapes with the law and a long history of alleged bankruptcy fraud. Now in his late 60s, Henschel has finally been indicted for an alleged scheme to string along desperate homeowners by filing phony bankruptcies, among other tactics. His company has collected more than $7 million from victims, according to prosecutors. Henschel pleaded not guilty. His attorney did not respond to my questions. To prosecutors who have worked in the district, the existence of longtime operators like Henschel offers some explanation for why bankruptcy fraud is so common here. The fraudsters teach their craft to others, who teach still others. By now, the skillset is hopelessly widespread. And the demand, when the economy sours, can be limitless. ProPublica data reporter Hannah Fresques and engagement reporter Adriana Gallardo contributed to this story, as well as Veronica Villafañe and Sarah Betancourt.